Camarillo Premium Outlets Presidents Day Sale, up to 70% Off! 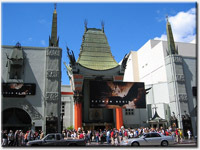 Daily tour from Los Angeles hotels http://latraveltours.com/Premium-Outlets-Tour.html. Free VIP Coupon Book! All Dresses at 25% off Plus, special “Text To Win” prom - shoppers can dial in and win and instant prize. Text BFF to the number 78953 “STYLE” and in a few minutes receive promo. Buy one item, receive 2nd item 20% off Certain restrictions may apply. 501 The Original jean on Sale! *Valid on full price Men's long-sleeved sport shirts, oxfords and dress shirts only. Please see store associate for details. Items vary by location. Not all colors or styles available in all locations.